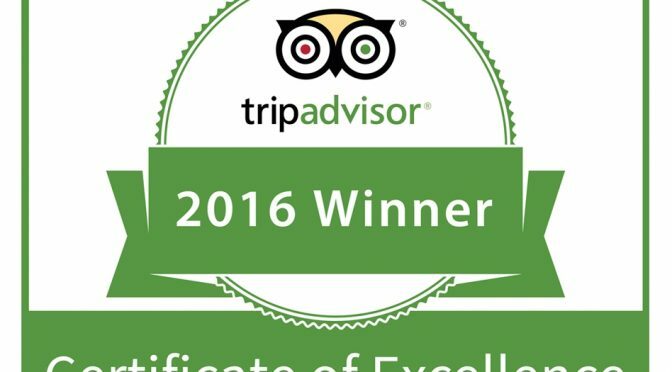 TripAdvisor Certificate of Excellence 2016. is awarded to Hotel President! Dear guests and travelers, TripAdvisor Certificate of Excellence for 2016. has been, for the 6th consecutive year, awarded to Hotel President in Zagreb! This award honors the best, unique hotels that are constantly upgrading their offer and service, which is largely traceable through guest reviews. TripAdvisor Certificate of Excellence is especially significant because it, among strongly suggestive and praising reviews, takes into account hotels that are not interested in massive tourism. Most of award-winners are hotels designated to treat each individual guest, rather than sorting them into bigger, irrelevant groups. “First of all, big thanks to our exceptional guests, it is a pleasure to have you with us every day. This, what we are doing, has stopped being a business a long time ago, and became a true pleasure for both me and our staff. TripAdvisor Certificate of Excellence says a lot about a hotel’s direction and dedication, but also about investments into entire establishment. We are constantly upgrading and evolving, and I’m really glad that our guests acknowledge that. But let me thank our lovely staff who are our soul and engine, since they give their best each and every day, which is a lot.” said Boris Vizintin, Managing Director of Hotel President regarding TripAdvisor award. We are very thankful to travelers and guests for this award, it is all because of you. You gave it to us, and we are here for you. Let’s hope that all awards so far are just the beginning of our beautiful journey together. Previous PostParks in ZagrebNext PostAdvent in Zagreb 2016./17.